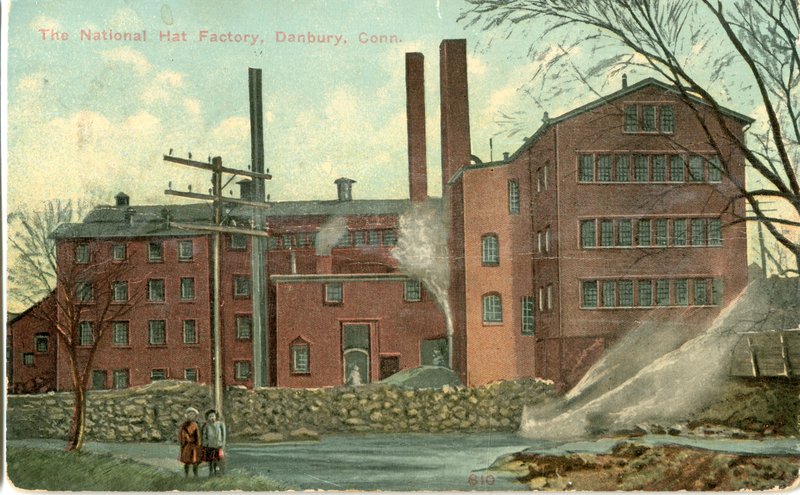 Western CT State University Archives' Digital Collections | The National Hat Factory, Danbury, Conn.
Shows the factory with children posed on the north side of the Still River, across the river from the factory. The company was reported to be in receivership on March 11, 1915. The factory was located on the Still River at the confluence of Chestnut, Liberty and Pahquioque Streets. 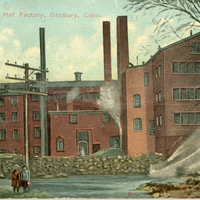 Danziger & Berman, New Haven Conn.
“The National Hat Factory, Danbury, Conn.” Danbury Miscellanea Collection, MS 038. WCSU Archives, 3 Oct. 2018. Accessed on the Web: 19 Apr. 2019.